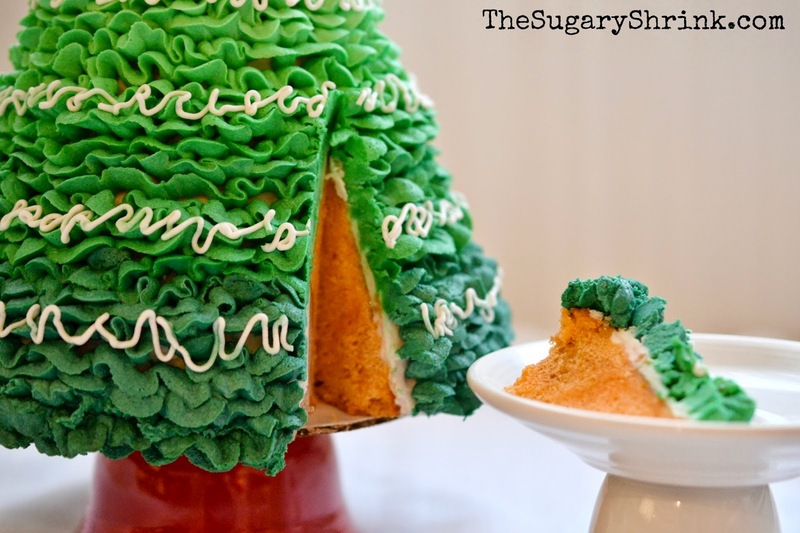 The Sugary Shrink: It's a Christmas Tree! I have been thinking about this cake for a week or two. It's Christmas-time and I definitely want to bake all the Christmas cakes! However, I'll have to choose just a few and run with those. 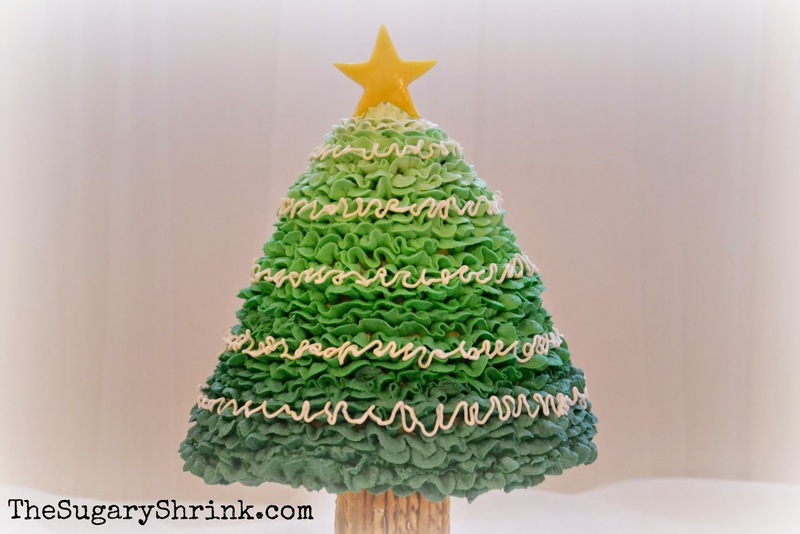 There were several methods I considered when approaching a Christmas Tree Cake. Naturally, stacking graduated rounds is for-sure one option. It would yield quite a bit of cake (for that community holiday party) especially when using 10", 9", 8", and 6" round pans. The carving away of the distinctive edges would be key and it's completely doable. Don't sell yourself short...try it! Anyway, the Christmas Tree Cake was constructed primarily with my delicious Orange Cake and Whipped Dark Chocolate Ganache Buttercream. It was crumb-coated with a white vanilla buttercream and fully covered in tinted Vanilla Buttercream Ombre Ruffles. Step by step, this is how the Christmas Tree was constructed. The recipe than accompanies the pan is a Lemon Cake that develops a thick batter. The instructions include a step that suggests pushing the cake batter into the sides of the pan. I make a small well in addition to that...this allows the inside of the cake to bake thoroughly while the outside edges do not burn. I'm not at all worried about the rough cake surface since that will be trimmed away. I love it when both sides of the cake fall right out... evenly baked and without major gaps. 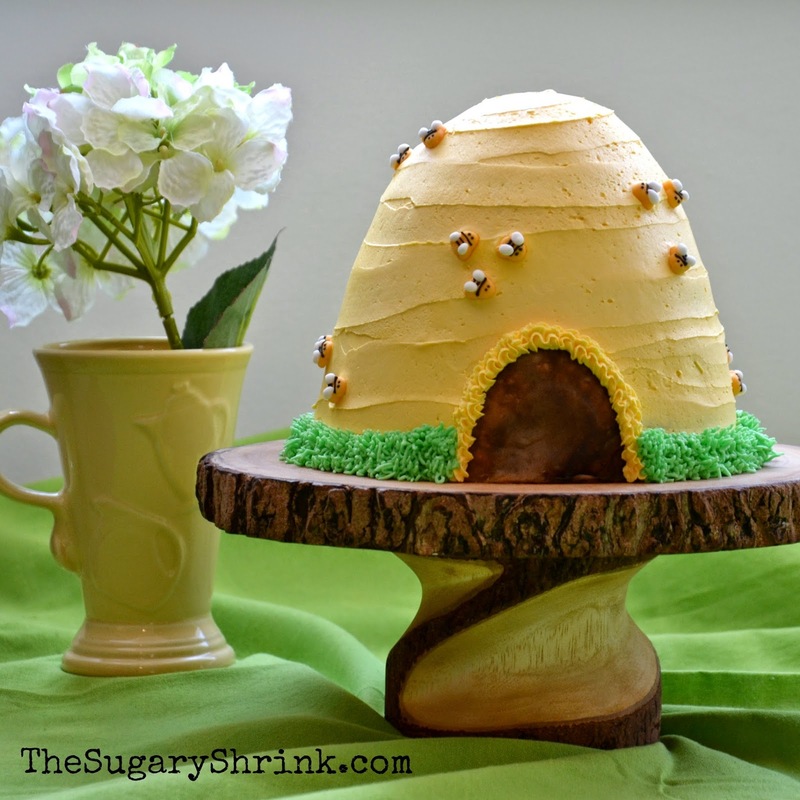 The openings for the 'hive entrance' will be filled in with buttercream. I used a 6" round cake board. I did not want the board to be larger than the cake; I planned to have the last row of ruffles echo the bottom branches of a legit tree. A stiff buttercream between the halves is tasty and effective. In the past this has worked and there hasn't been any instance in which I thought the cake would fall apart. It may not have looked much like a Christmas Tree, but I was really excited about getting to this stage of the process. The flavor and texture of the cake was spot on (I had a bit of the trimmed off portion) and the Dark Ritter Sport Ganache was... oh.so.yummy. And, this was the point of ... "I have no idea what I'm doing whatsoever." I started carving from the top down. I worked as though I was looking at a clock... gently shaving away at 12, 6, 3, 9 and then I'd turn the axis point to midway... 1.5, 7.5, 4.5, 10.5. As I continued to turn the cake, the shape presented itself. The key, for me, was not rushing this step and constantly spinning the cake. Well now!! That's a good amount of cake shaved away... did I hear someone say, "Cake pops"? Or was it a mid-afternoon snack? There's that 'bee hive entrance' getting filled with chocolate. I stuck a toothpick in what I considered the top of this cake. It was needed to help me find/visual the center and top of this cake. It was especially important when working right at the tippy top. I used a Wilton 102 Rose tip for the top three shades of green then switched to the Wilton 103 Rose tip. When developing a tree, I wasn't hung on being exact with each row of ruffles. Layer cakes are a different adventure and I work hard to keep the rows even. But...this is a tree. Using a green coloring gel only worked about half-way down this tree since that's where the saturation level resides. In order to continue deepening the green, I added just barely a drop of Navy Blue. It gives it a nice Spruce color. Hot tip: When possible, use coloring gel when working with a lot of color. And then, I wasn't sure exactly "What's next?" I knew I needed to wait for that last row of ruffles to get piped on after sitting the cake on the 'tree trunk'...was it time for the star? "Aw nuts!! I don't have a star!" In the middle of this build, I have to figure out a star. I promise, if our Christmas decorations had been out, I'd have grabbed something shiny off the tree. But....no such luck. Tootsie Rolls to the rescue!! I warmed up to two Lemon Tootsie Rolls I happened to have in the pantry "for emergencies only." They were smooshed together, rolled flat, and cut out with a star-shaped cookie cutter. I used a toothpick to support it. The tree trunk was more of a challenge because of proportion..not too tall, not too round, but just right. The closest to perfect (slightly too tall) was a vitamin bottle. I covered it with the chocolate buttercream and gently pressed skinny pretzel sticks into the coating. I had to cut the pretzels to size, but it was no big deal. I love the bow I wrapped around it, but when it was under the tree it lost some definition and simply looked crowded. Next time, a thinner ribbon would probably be better. At some point, it needed some type of decorations. This Vanilla Buttercream garland is just the ticket. I considered adding little bits and baubles, however, it is also the case that I'm terrible at editing my work and wanted to stop before arriving at "too much!" Several tree stands were tried...including this Fiesta up-ended Bouillon Bowl in Scarlet. This cake was far better than I imagined. 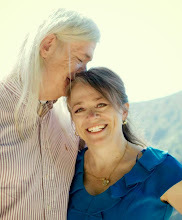 As I talked this one out and engineered a plan of attack - I was grateful for my life partner and his unending love and support. The feedback from the kids is always appreciated. Sobriety too. Consider tackling a bigger-than-usual baking project!